Do not rely on the modest dimensions of Cap Taillat! Even if there are only two pitches and fifty eight rental accommodations on barely 1,2 hectare with pines and cork oaks, it is to better serve the guests and to provide them with comfort, peace and quiet in a family and friendly atmosphere, a rare thing around the dynamic Gulf of Saint Tropez! 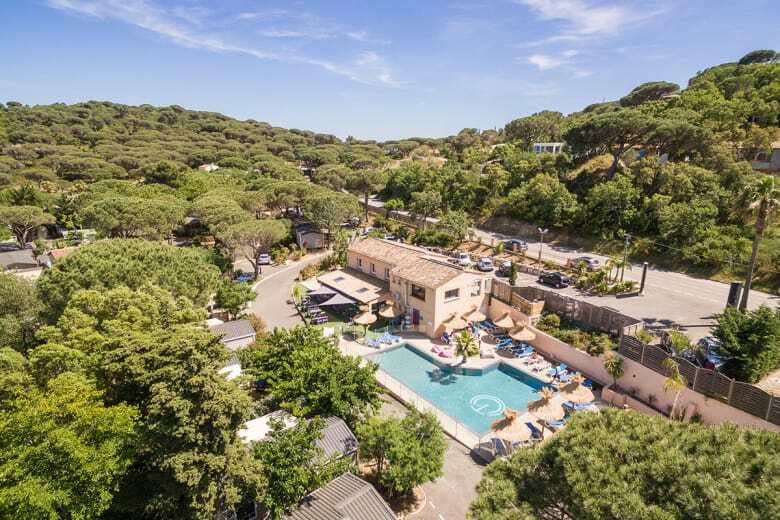 Entirely renovated at the beginning of 2012, this luxury campsite in Ramatuelle seems to be nestled in the heart of a cocoon of greenery, where about 700 trees and shrubs of Mediterranean scents have been planted over the last years. Spacious and shady, the two pitches for tents on campsite Cap Taillat are connected to electricity and to the water network. As for the 58 rental accommodations, they are spread over the rest of the property, according to three rental ranges: Comfort, Premium and VIP. Comfort and high-end facilities corresponding to the high quality-standard of the place. 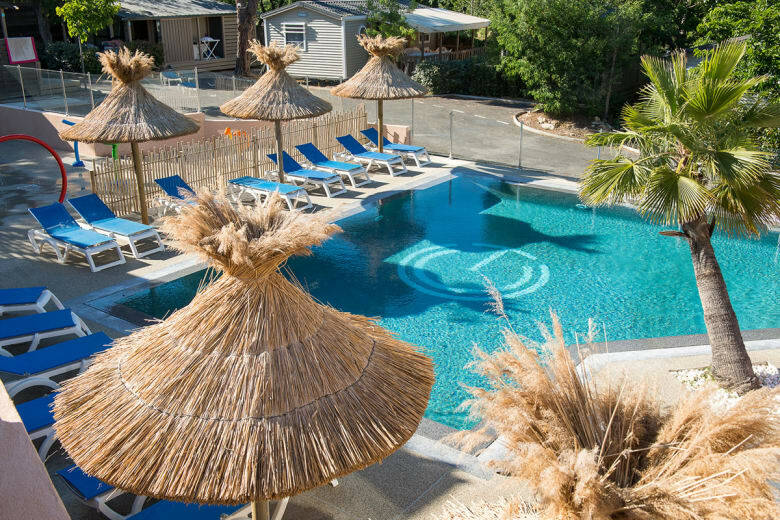 Comfortable and modern, the rentals on this 4-star campsite in Ramatuelle are all equipped with a flat-screen TV, on which you can watch French and foreign channels, free access to the property's WiFi network (for both the Premium and the VIP range) and a dishwasher (for the VIP range). Among the campsite shops there's a snack-bar and a grocery/bakery. While the first is only open from mid-June to the end of August, the grocery store is open from May to September. Finally, le Cap Taillat also proposes several leisure facilities, like a jeu-de-boules field, a playground with table tennis tables, foosball and billiards but also and above all a Water Park. And even if the mood on this campsite allows everyone to rest peacefully, there's something even better to relax, our spa and well-being area. As for the spa it is equipped with a bubble bath and a hammam, and in the well-being area guests, who have an appointment, can enjoy a massage and different body and facial treatments. You can also work on your shape during your holiday by going to the campsite's fitness room, with many modern devices.